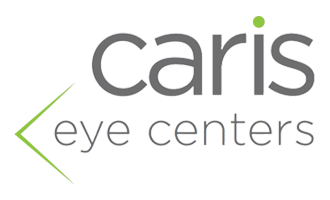 At Caris Eye Centers, we are committed to providing our patients with the best eye exam that they have ever experienced. Most of our patients come to see us because they want to make sure that their vision is as clear as possible. That’s what we want too! A thorough eye exam can tell us so much more than whether you need glasses or contact lenses. During your eye exam, not only will we check your vision but we will also test for all types of eye diseases and conditions. The key to maintaining clear vision your whole life is making sure that conditions such as glaucoma, retinal disease, corneal disease, diabetic eye disease, etc are caught as early as possible. All too often, eye and vision problems do not have obvious symptoms or signs, but are easily diagnosed by a Caris Eye Centers optometrist. During an eye exam, we will ask you questions about any symptoms or issues you are experiencing, medications your are currently taking, whether you feel your vision is blurry, your work environment, and your overall health. Family history and previous eye or vision conditions will also be discussed during this part of the examination. Your doctor will consider this information when determining any treatments or recommendations. Regular vision testing and evaluations ensure that you always have the clearest vision possible. Your doctor will test your vision to see how you are seeing at all distances. The optometrist will then perform a “refraction” to determine if a prescription is needed to provide maximum vision. The results of these tests are portrayed as a fraction, with 20/20 being the standard for normal distance and reading vision although many of our patients are able to see better than 20/20! Depending on the results of your vision test, corrective glasses, contacts, or vision therapy may be prescribed. In addition to vision testing, an eye exam in our office includes testing eye functionality. Many people do not realize that it is possible to read the 20/20 line on an eye chart yet the eyes may not be working together efficiently.Our eye doctors perform several tests to evaluate depth perception, color vision, eye muscle capabilities, peripheral vision, and responsiveness to light. Several other simple tests are completed to determine whether the eyes are focusing, moving, and working together properly. The test results enable us to diagnose any underlying conditions that may be impairing the eyes ability to focus or work together. As part of a comprehensive eye exam, our eye doctors examine the overall health of the eye through a complete eye health assessment using state of the art technology. We offer optomap ultra-widefield retinal screening as an option to dilation drops to evaluate the eye for retinal disease. We will measure your eye pressure which can be an indicator for glaucoma, we will inspect the front of the eye for corneal disease, dry eye, cataracts and other conditions that are too numerous to list. Most importantly, your doctor will review all of our findings and make certain that you understand the results of your exam and to discuss any necessary treatment options. Contact us today to schedule a comprehensive eye exam.